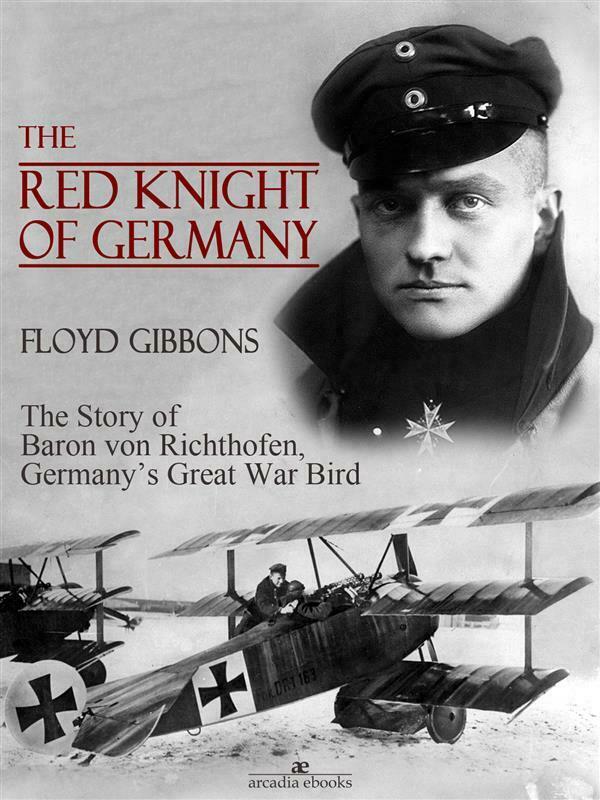 Manfred Albrecht Freiherr von Richthofen, also widely known as the Red Baron, was a German fighter pilot with the Imperial German Army Air Service (Luftstreitkräfte) during the First World War. He is considered the ace-of-aces of the war, being officially credited with 80 air combat victories. Originally a cavalryman, Richthofen transferred to the Air Service in 1915, becoming one of the first members of Jasta 2 in 1916. He quickly distinguished himself as a fighter pilot, and during 1917 became leader of Jasta 11 and then the larger unit Jagdgeschwader 1 (better known as the "Flying Circus"). By 1918, he was regarded as a national hero in Germany, and respected and admired even by his enemies. Floyd Phillips Gibbons (1887-1939) was the war correspondent for the Chicago Tribune during World War I. One of radio's first news reporters and commentators, he was famous for a fast-talking delivery style. Floyd Gibbons lived a life of danger of which he often wrote and spoke.